This limited edition bookmark was handcrafted by Kit Rocha and is one of a set of six. Each bookmark edition is unique and never to be repeated! 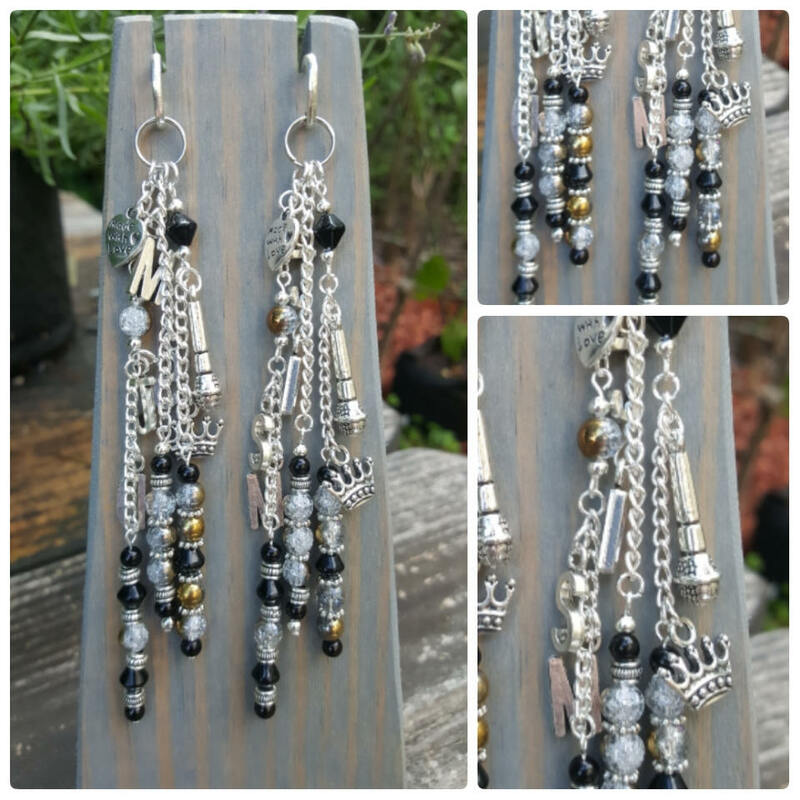 The colors on this bookmark are royal golds and silvers with a hint of O'Kane black. 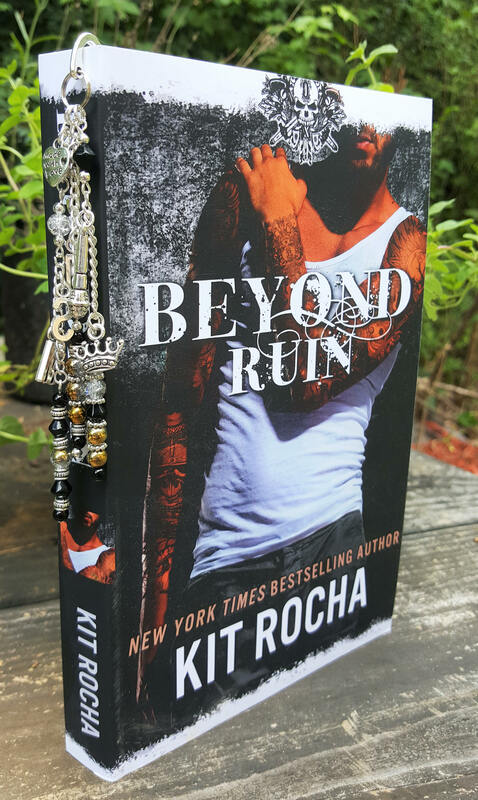 This bookmark is themed for Kit Rocha's Beyond Ruin. Charms include Scarlet's microphone, a crown for our runaway prince, and S, J, D & M for our main characters: Scarlet, Jyoti, Dylan and Mad.